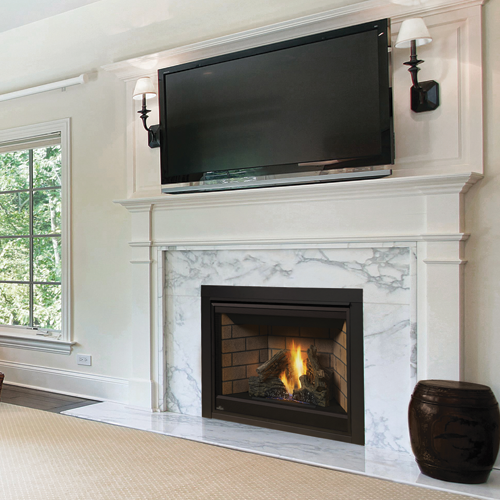 Napoleon’s Ascent™ 42 is the largest single view fireplace in the Ascent™ Series. Offering a multitude of options with decorative fronts, trim kit, decorative brick panels and MIRRO-FLAME™ Reflective Radiant Panels, the Ascent™ 42 can be designed to your personal taste and match any home décor. An approved safety barrier comes standard on the Ascent™ 42, meeting tomorrows safety standards today.